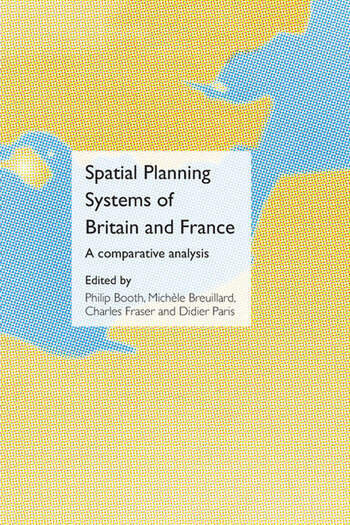 Spatial Planning Systems of Britain and France brings together a wide selection of comparative essays to highlight the fundamental similarities and differences between the spatial planning in Great Britain and France: two countries that are near neighbours and yet have developed very different modes of planning in terms of their structure, practical application and underlying philosophies. Drawing on the outcomes of the Franco-British Planning Study Group and with a foreword by Vincent Renard of the Ecole Polytechnique in Paris, the book offers a comparative investigation of the basic contexts for planning in both countries, including its administrative, economic, financial and legal implications, and then move on to illustrate themes such as urban policy and transport planning through detailed analysis and case studies. From these investigations the book brings together planning concepts from both a national and European perspective, looking particularly at two current issues: the effects of urban growth on small market towns and the use of Public-Private partnerships to implement development projects. Spatial Planning Systems of Britain and France will prove invaluable to policy makers and practitioners in both countries at a time when national policy is beginning to look towards practice in other countries. The book is published simultaneously in English and French opening up a wider debate between the English-speaking and francophone worlds. Philip Booth is Reader in Town and Regional Planning at the University of Sheffield, UK. Michèle Breuillard is a Research Fellow at the Centre for Administrative, Political and Social Studies and Research (CERAPS), University of Lille 2, and the National Centre for Scientific Research (CNRS), France. Charles Fraser is the former Head of Town Planning at London South Bank University, UK, and is currently a Visiting Fellow of the University. Didier Paris is Professor of Planning at the Science and Technology University, Villeneuve d'Ascq, Lille, France.